It’s one that applies to the world of custom printed packing tape as well. 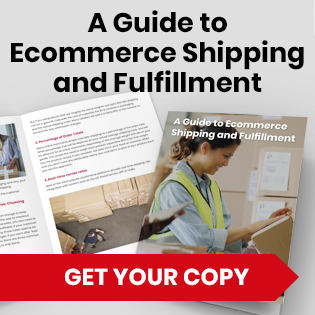 And while plastic tape and paper tape – also known as “kraft tape” – both have their selling points, there are times when one tape is more appropriate than the other. Paper tape is an eco-friendly, water-activated tape that bonds neatly to boxes and contains fiberglass threads that provide added security. Once you seal a package with paper tape, it forms a permanent bond. Like an envelope, you’ll need to rip it to get it open, whereas plastic tape can be peeled open. 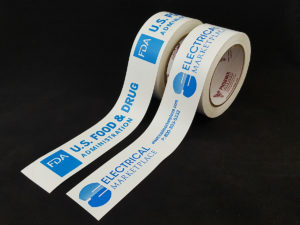 Paper tape is often used in industries where the boxes aren’t filled with hard goods – such as clothing – or with products that are loose and not very stackable. It’s easier to seal a box with water-activated tape when you can’t put as much pressure on the tape. Is there a downside to custom printed paper tape? If there’s a drawback to using custom printed paper packing tape, it’s that you have to bring your packaging to the tape instead of bringing your tape to the packaging. If someone has 10 shipping desks in their warehouse, they’d need 10 tape machines. The tape comes out of a desktop tape machine that dispenses the tape through a water brush that activates the adhesive. And this adhesive is – as you might expect – extremely sticky, which can make it cumbersome to work with. Plastic tape, meanwhile, can be applied with a portable tape gun that you can carry around your office or warehouse. These tape guns cost less than $20, whereas a paper tape machine will sell for hundreds or even thousands of dollars. The two main types of custom printed plastic packing tape are polypropylene and PVC, which stands for polyvinyl chloride. 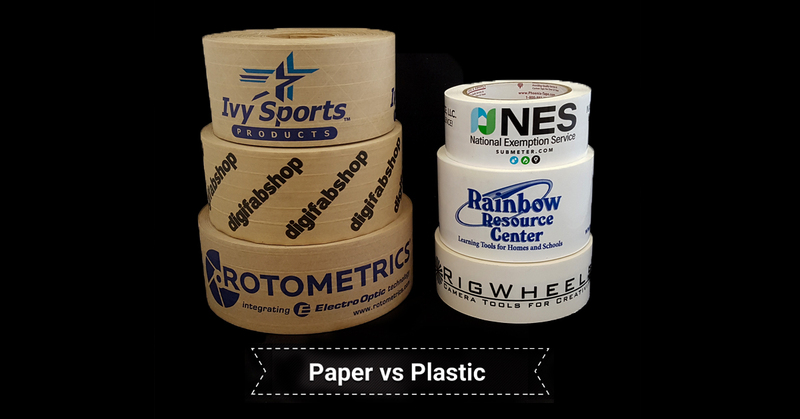 One of the most common tape varieties, polypropylene tape is a cost-efficient pick that let you print up to three ink colors. You can identify polypropylene by the crackling sound it makes when you pull it from its roll. Unlike polypropylene, PVC tape is quiet. You can pull it from its roll without making much noise, which is why people who prefer quiet workspaces sometimes choose it over polypropylene. It’s a quality tape that’s in some cases easier to work with than poly – which can stick to itself. 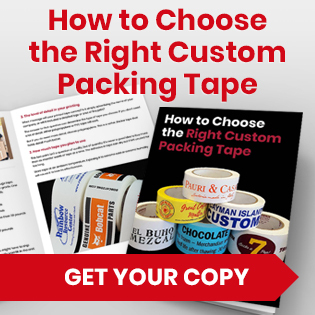 Still not sure what type of tape would work best for your packing needs? Phoenix Tape can help you decide. 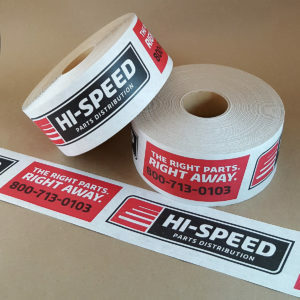 We’ve been creating custom printed tape for more than 30 years, focusing on offering affordable, quality tape to large and small businesses alike. Whether you need kraft tape, PVC or polypropylene to seal your packages, we’ll be able to find you a tape that meets your needs. Contact us today to learn more. Next Next post: What is PVC Packing Tape?